John Kreutzer’s practice focuses on employment litigation, advice and counseling. His litigation experience includes representing employers in the defense of claims for discrimination and harassment in the work place, protected leave and disability claims, wage and hour claims, actions based on breach of contract, including non-competition agreement defense and enforcement, and trade secret violation claims. John is experienced in the defense of both class and representative actions. 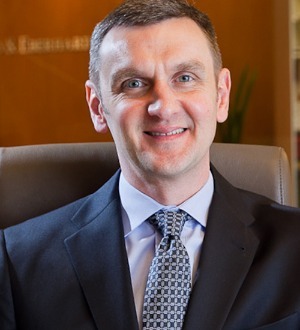 Prior to joining Smith Freed Eberhard, John worked at a large law firm in Portland, Oregon where he represented employers in complex employment litigation. John has also served as a Special Assistant Attorney General defending claims on behalf of the State of Oregon. Defended a national real estate investment and property management company and its on-site manager against claims of disability discrimination and wrongful death. Defended a national inventory service provider against claims of constructive wrongful discharge brought by three former managers. Successfully defended a national timber products inspection provider against a national Fair Labor Standards Act representative action. Has significant experience both enforcing and defending against enforcement of noncompetition agreements and the protection of trade secrets.